Yosemite white water rafting adds a special excitement to any Yosemite National Park vacation, with a combination of scenic floating and exhilarating rapids that no visitor should pass up. OARS offers incredible family rafting adventures on the Merced & Tuolumne Rivers. Experience Class I-III rapids - choose from trips from 1 to 3 days in length. Pick your trip! 10 rivers to choose from and celebrating 50 years in business. For over 36 years American River Recreation has offered first-class rafting adventures on the American River and the Merced River - with a wide variety of trips for all ages. 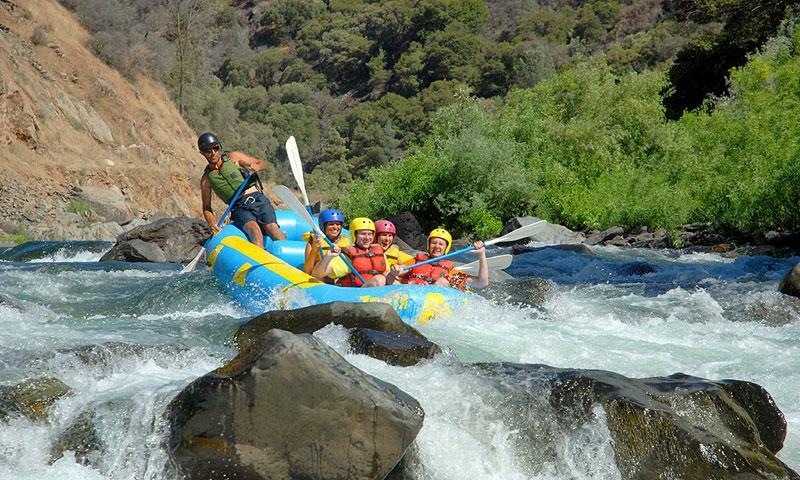 Since 1965 Sierra Mac River Rafting has been offering affordable river rafting trips in the California area. 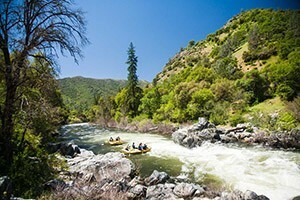 Go whitewater rafting with this highly experienced company (35+ years) on either the nearby Merced or Tuolumne Rivers. Since 1973, Zephyr Whitewater has been providing whitewater adventure on the Merced, Kings, and Tuolumne rivers near Yosemite, Our trips range from 1/2 to 3-days in length. Yosemite rafting is a popular activity for all ages. 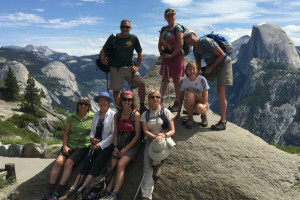 When visiting Yosemite National Park you can combine sightseeing and other outdoor fun with always exciting and sometimes challenging whitewater rafting. 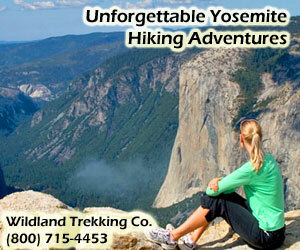 Yosemite river rafting takes you through some spectacular scenery, and the Merced is one of the most scenic of all. The Merced River flows through Yosemite Valley and down past El Portal, providing long stretches of rapids and steep drops guaranteed to give even the most experienced rafters a thrill. The best rafting waters of this river come after it crosses the park boundary and enters the Merced River Canyon, stretching about 30 miles to Lake McClure. You can access the river from many spots along California Highway 140. There are a wide variety of rapids on the Merced, from Class II to Class IV runs. Quieter floats within Yosemite are between Stoneman Bridge near Curry Village and the Sentinel Beach Picnic Area. Yosemite whitewater galore is found on the Tuolumne River. For the experienced rafter, the Cherry Creek area of the river has some exciting Class V waters and then mellows out for some Class IV rapids. This Wild and Scenic River offers chutes, pools and staircase rapids that provide an excellent whitewater experience. At the same place you have the take-out for the Cherry Creek run, you can put in for your next trip. At Meral’s Pool you carry on to the Ward’s Ferry Bridge. This is the Main Tuolumne River, a true classic whitewater trip. Take some side trips for hiking or viewing historical sites. Yosemite whitewater rafting is best with a commercial outfitter because they are experienced and take care of every detail related to your trip, so discover the right guide for you by checking out the listings on this page.